The project we called “Smart Move in the Metropolitan Area of Alba Iulia” was a big challenge for our company because it was for the first time in Romania when a PT operator and the local administration introduced the Metropolitan Transport. Our Metropolitan Transport System is perfectly functional and it is the first one ever successfully implemented in Romania. 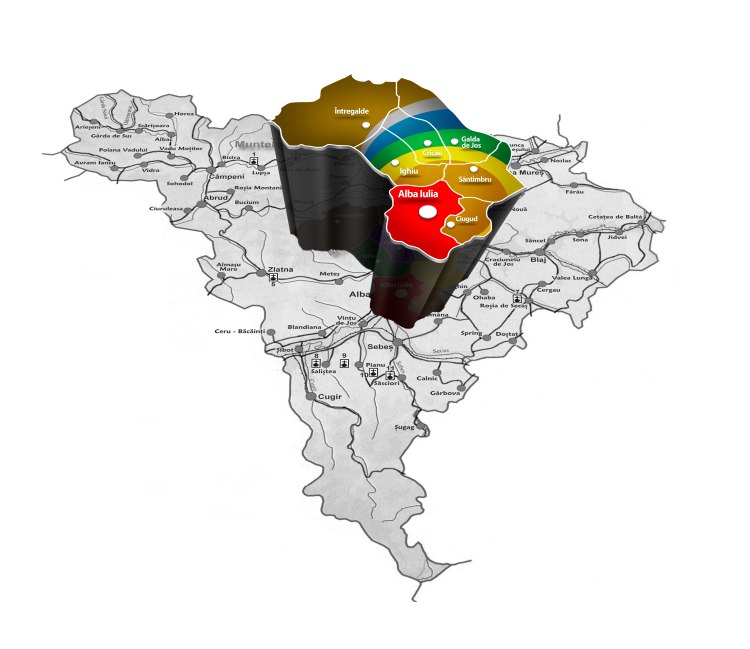 STP is the only company in Romania which uses validation systems based on the GPS position of the customer in the relation with the tariff zones. Intercommunity Development Association for Public Transport was created in order to manage the public transport in the area. The partners of STP Alba Iulia are: the local administrations of (local councils) of Alba Iulia, Ciugud, Sintimbru, Intregalde, Galda de Jos, Cricau, Ighiu and Mihalț. The Metropolitan PT was introduces since October 2012. The project will last at least 6 years (duration of the contract). All the actions of STP Alba Iulia were focused on the increasing the quality of service and the success of the project. Local Administration: Ciugud, Sîntimbru, Ighiu, Cricău, Galda de Jos, Întregalde and Mihalț. Contract approval and delegation of power for AIDA -TL to sign the contract on behalf of local administrations. The Metropolitan transport system provides for every citizen in the area: freedom of movement, travel conditions similar to those in Alba Iulia for all neighboring municipalities, unified ticketing and good prices. Travel passes and tickets are available in the appropriate tariff zone but also inside the tariff zones below (as price). One can buy a ticket for tariff zone no. 3; he can travel with the same ticket inside tariff zones 2 and 1 and he can make any number of interchanges he needs (during the validity time of the ticket). For example, a ticket purchased from Bucerdea Vinoasă (tariff zone 4 - green) is also valid for 70 minutes on all the lower areas ( tariff zones 3, 2 and 1) and costs 6 lei (about 1,25 euro) for complete route up Alba Iulia (length 17 km). This trip usually takes 40 minutes, so the traveler can benefit from 30 more minutes of ticket validity in the city of Alba Iulia, no matter how many vehicles change. If one would like to purchase tickets only until one nearest village, he can pay less than a full ticket. A monthly subscription purchased for Bucerdea Vinoasă (zone 4), costs 160 lei and is available in the lower tariff areas (3, 2 and 1). This pass can be used for an unlimited number of trips both in Alba Iulia (zone 1 - red) and any other areas of the lower pricing: Ighiu Hăpria Totoi (zone 3 - yellow) and Ciugud, Teleac or Sîntimbru ( zone 2 - orange), etc. Since October 2012, after the implementation of the existing local public transport system in Alba Iulia (maintaining the same standards of quality and municipalities in the metropolitan area), the number of journeys made by public transport between Alba Iulia and villages metropolitan areas (tariff zones 2-7) increased by 23%. In absolute figures, the number of additional trips per month was 27,300. Calculating per working-day, there were made at least 1,050 additional trips per day. It means that about 525 unique visitors per day traveled to Alba Iulia using public transport instead of the car. If we consider an average occupancy of 2.5 persons / vehicle, it results that at least 210 cars were displaced every day in our city traffic during the peak hours (7.30 to 8.15). This translates into 210 extra parking spaces available per day. STP introduced the first double - decker used in the local public transport on regular lines and accessible for all citizens to normal rate. AIDA-TL principle: giving up traditional urban transport planning by focusing on large and expensive projects and the transition to sustainable urban mobility planning by focusing on effective and gradual improvements. The main advantage of the Metropolitan Transport: provides integrated public passenger transport - interconnected transport services in a geographic area with a unique service information charge, a single ticketing scheme and single timetable. - PT is performed only by urban buses (the first effect: quick transfer of passengers at points of embarkation / disembarkation on the crowded routes). - Local councils from neighboring municipalities had no jurisdiction in approving traffic routes and schedules. - Correlation of intermodal traffic graphs of county and urban transport were empirical, each authority had its own "priorities", with no penalties for failure correlation graphs and no competent authority to apply it. - Each member of AIDA - TL CL can approve its own schedules and has the decision of introducing new routes; it is also possible to adapt the transport capacities (whenever the situation requires and with a immediate effects for users), by a simple decision of the local council. - For all routes of AIDA - TL ( 42 transmission lines ) there is a single program transport with integrated timetable for reducing travel time, interconnected, better coordinated transshipments analyzed for the first time by a single authority. - The use of intelligent transport systems (ITS ) offers adequate information before and during the journey (panels displaying the arrival times, voice - box, billboards, dynamic displays devices inside the bus, etc. 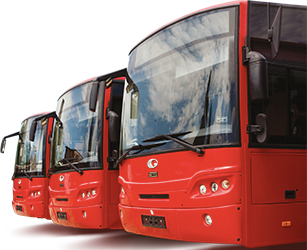 - Travel tickets were not available for urban transport (County Council and regular county operators didn`t implement ticketing systems). - The ticket is valid for 60, 70, 90 or 120 minutes, depending on the tariff; The validity is calculated so at least 30 minutes are still available inside the tariff zone nr. 1 (Alba Iulia); the passenger can use any bus without paying a surcharge.